When a road crash leaves Marshall Howell trapped in a wrecked getaway car, his partner, master thief Parker, has to decide whether or not to kill him before he skedaddles with their $140,000 haul. Since Howell’s always played on the level with him, he doesn’t, though somebody else does. Next thing Parker knows, he’s being courted by retired state employee Hilliard Cathman, who claims he was about to set up Howell to rob a gambling ship cruising the Hudson, and wants to know if Parker might be interested in taking Howell’s place. Apart from the bad omen, there’s something about Cathman that Parker doesn’t trust, but he goes ahead setting up the score: putting together a gang, arranging elaborate measures for getting the necessary weaponry past the ship’s tight security and setting up separate escape routes for the robbers and the loot. It all seems too easy, and it is, since Ray Becker, the bent cop who killed Howell, knows about the job and is desperate to hijack the money. And he’s not the only one. For all the freelance talent, though, this heist is a lot more routine than Parker’s satisfyingly grim return last year in Comeback. 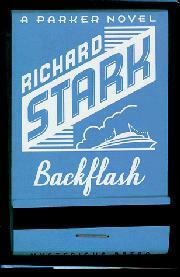 Even so, Stark (a.k.a. Donald E. Westlake), like his outlaw hero, is never less than professional, and he supplies the fastest 300 pages you’re likely to read this year.